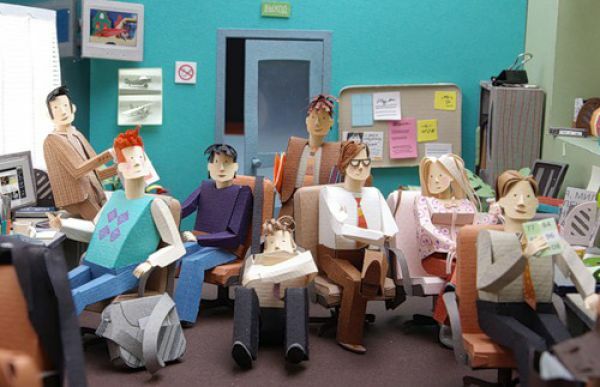 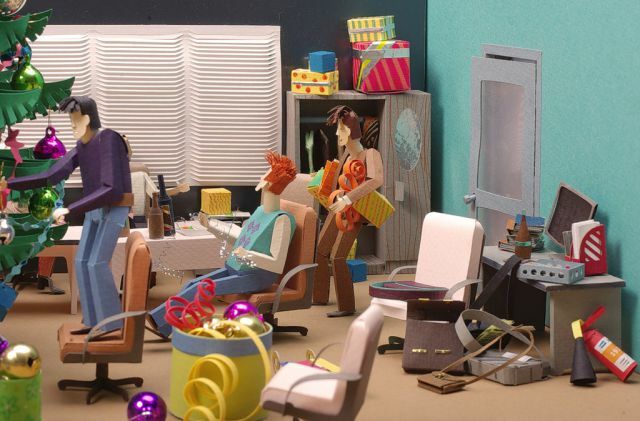 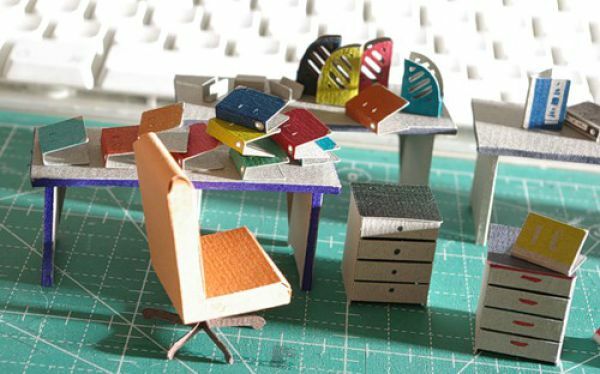 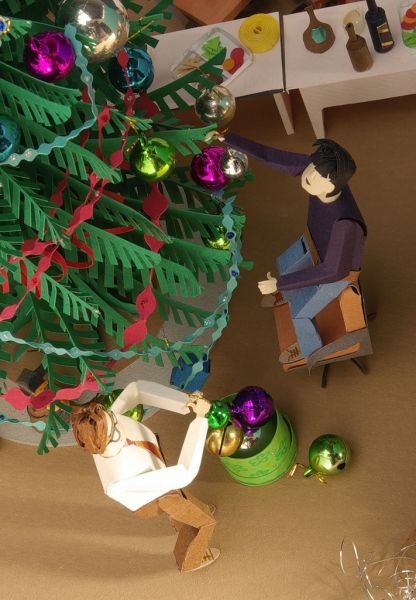 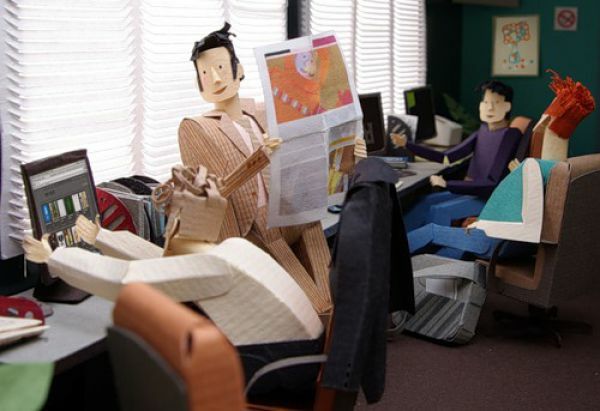 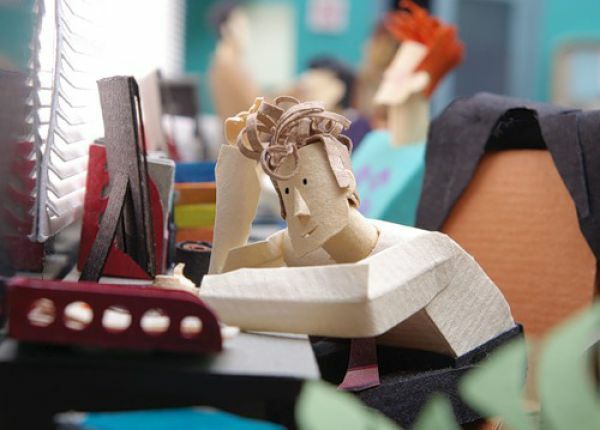 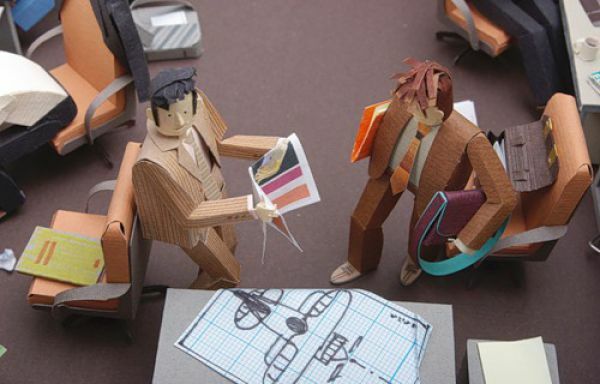 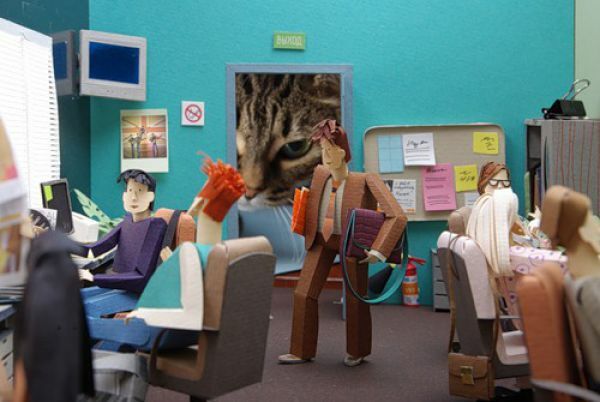 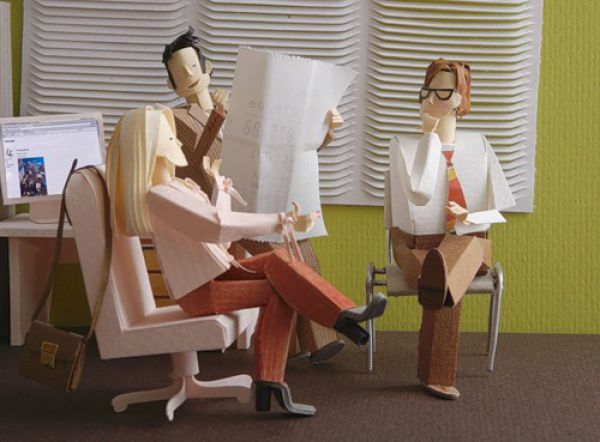 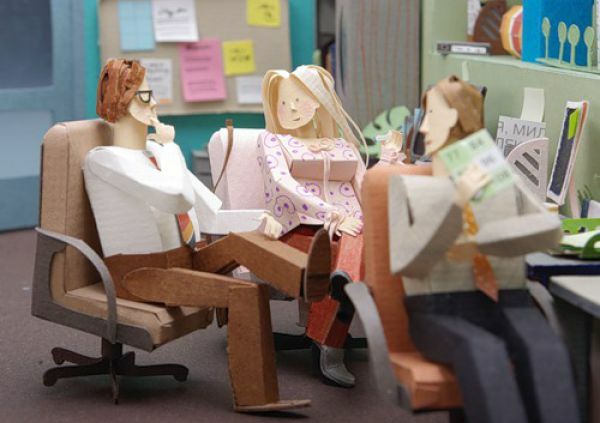 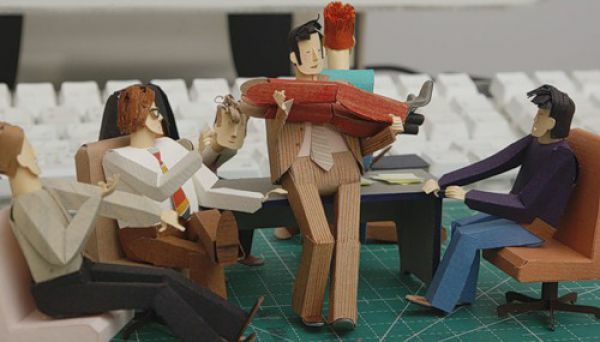 This is an office made entirely of paper including the people. 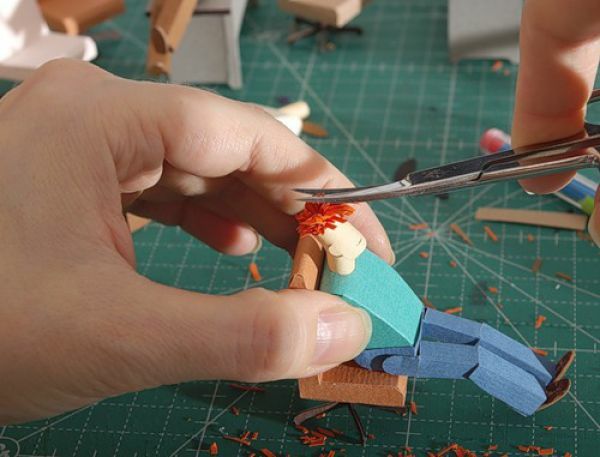 The amount of detail is incredible. 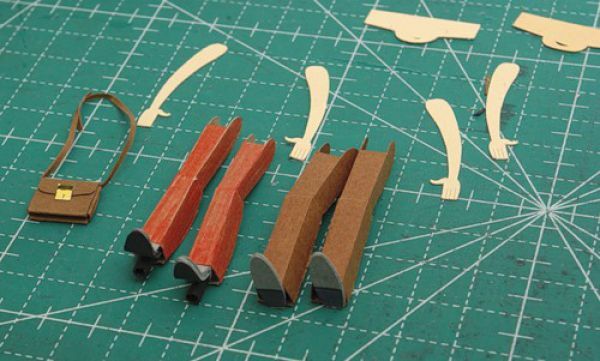 Everything is to perfect scale. 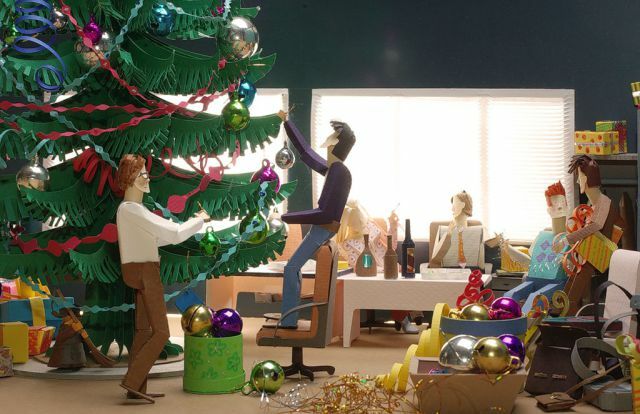 Somebody had a lot of time on their hands and is a very good artist.